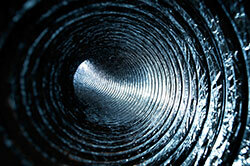 Identify the most effective solutions for your air duct system cleaning and repair needs. You will find these tips extremely useful and helpful when you want to inspect air ducts and air filters. These are the main barriers for dust and dirt so they have to be in good condition at all times, according to the technicians of our air duct cleaning company in Sun Valley. During the inspection, check the filters for extensive dirt and debris accumulation as well as damage and take care of cleaning and repairs accordingly. 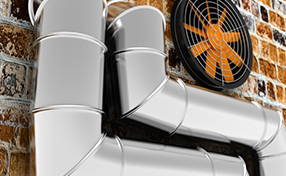 It is best if air duct cleaning is accompanied by thorough inspection of all components of the HVAC system. In this way, damage will be identified right away and repairs will be made without delay. This will save you money while keeping your home cozy and safe. The first step to HVAC maintenance is to do a visual check on your air ducts. Dust and molds can be seen by the naked eye and can be felt with the fingertips. If you can spot dust buildups, then it’s time for air duct cleaning. Having good indoor air quality is very important for the health. 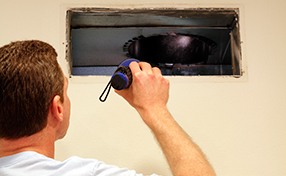 While you might be able to ignore cleaning or even inspecting your air duct for quite a while, as soon as you notice that the grates have accumulated dust, dirt or grime Air Duct Cleaning SunValley technicians advise you to clean the system straight away.